On this day in 2006, Clarence Allen was executed by the state of California for his role in the murders of three people. Clarence Ray Allen packing heat and bravado in the 1970s (top); and, as a geriatric condemned man (bottom). Given the nature of his crimes, sentencing him to another life term would achieve none of the traditional purposes underlying punishment. Allen … has proven that he is beyond rehabilitation. Allen, a father of two, presented an outward appearance of respectability (in fact, he ran a thriving security business) while organizing a gang of young people to help him commit many burglaries. In June 1974, Allen, his son Roger and other accomplices burglarized a Fresno supermarket and stole, among other things, $10,000 in money orders. Roger’s seventeen-year-old girlfriend, Mary Sue Kitts, later told Bryon Schletewitz, whose parents owned the supermarket, who had committed the burglary. Allen had warned his gang that “snitches” would be put to death, and when he found out what Kitts had done he ordered her murder. Another member of the gang, Eugene Farrow, actually committed the deed, strangling Kitts and dumping her body in a canal. Her body has never been found. Allen was convicted of the burglary and Kitts’s murder in 1977 and sentenced to life. Farrow pleaded guilty to second-degree murder. After his conviction, Allen ordered the murders of eight of the witnesses who had testified against him at the trial, including Schletewitz and his parents. 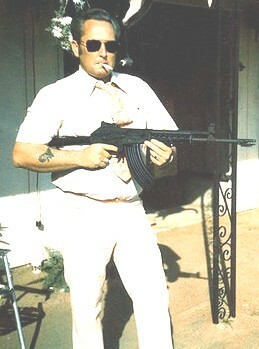 His other son, Kenneth (lovely family they are), supplied weapons and transportation to Billy Ray Hamilton, a recently paroled prisoner who had been offered $25,000 to commit the murders, and Hamilton’s girlfriend, Connie Sue Barbo. In 1980, Hamilton and Barbo broke into the supermarket and shot Schletewitz as well as Douglas Scott White and Jacqueline Rocha, two teenagers who were just in the wrong place at the wrong time. Fortunately, Barbo was caught at the scene and Hamilton was arrested just a few days later, before he could get on with the hit list. In 1982, Allen was sentenced to death for the three murders. Hamilton was also sent to Death Row, where he remains. Barbo got a life term. Kenneth accepted a plea agreement that offered minimal prison time in exchange for his testimony, but when he recanted his original statements the agreement was canceled and he got a life sentence. Already fifty years old at the time of the supermarket murders, Allen had to wait a further twenty-six years for his date with death. While he was on Death Row his health deterioriated markedly. 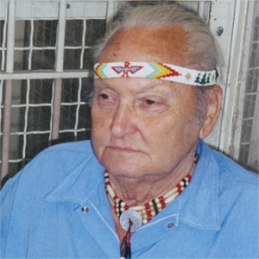 By the time he was executed he was diabetic, nearly deaf, legally blind and confined to a wheelchair. He also had a heart attack in 2005 and had to have bypass surgery. Given the circumstances of his crimes, his advanced age and poor health were the only mitigating circumstances his attorneys could think of to argue for a reprieve. The Ninth Court of Appeals didn’t agree that this constituted cruel and unusual punishment. His age and experience only sharpened his ability to coldly calculate the execution of the crime. Nothing about his current ailments reduces his culpability and thus they do not lessen the retributive or deterrent purposes of the death penalty. On the day of Allen’s execution, he had to be lifted from his chair onto the gurney. His last words were: “It’s a good day to die. Thank you very much. I love you all. Goodbye.” It took eighteen minutes and an extra dose of potassium chloride for him to die.